Epsom Playhouse feels more and more like home. It was only a few weeks ago that I was shooting a dress rehearsal for Ewell Castle and now I'm back with another Epsom Light Opera Company production. This one has to be their best yet. 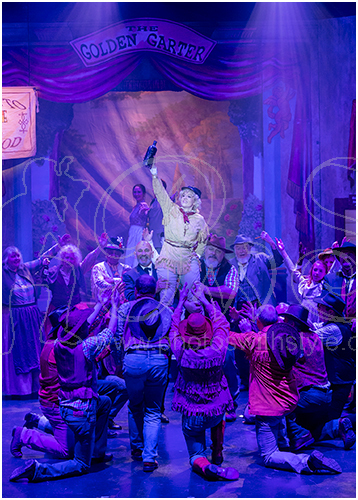 Emily Evans is Calamity Jane and I am blown away with Barry Stevens ('Wild' Bill Hickok) singing. James Fortune has clearly been working them all very hard and everone is at their peak. Tickets are selling fast and performances are only this week until Saturday.